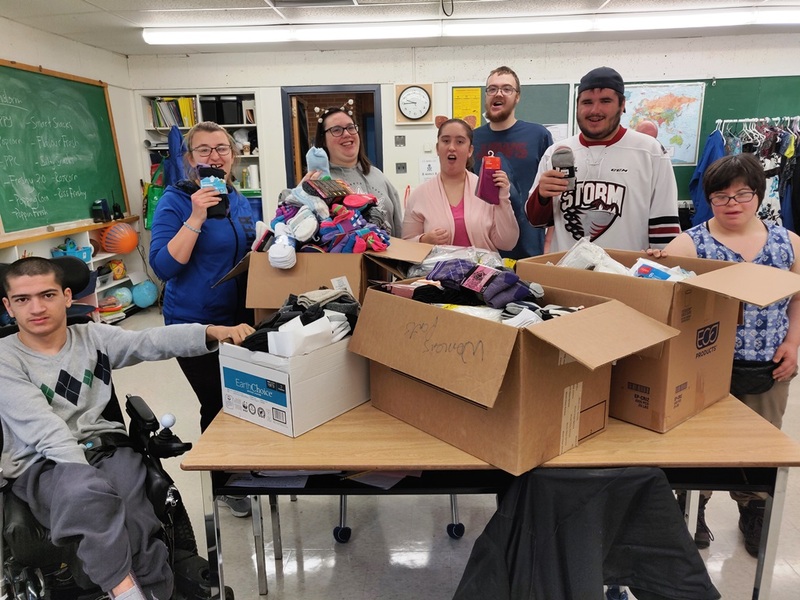 GUELPH, Ontario – The month of October was filled with generous hearts as students and staff participated in many sock drives throughout the Upper Grand DSB. At John F. Ross CVI, students in the Life Skills program held a month-long sock drive called “Socktober.” Throughout the month, students advertised the fundraiser and turned the drive into a competition to see which homeroom could collect the most pairs of socks. Mr. Card’s class brought in 162 pairs and won a pizza party. Students put up flyers and made morning announcements to promote the sock drive. At the end of the month, the Life Skills class went around the school to collect socks from every homeroom. A total of 1,002 pairs of socks were collected. Once all the socks were in, the class packed them and prepared them for delivery. 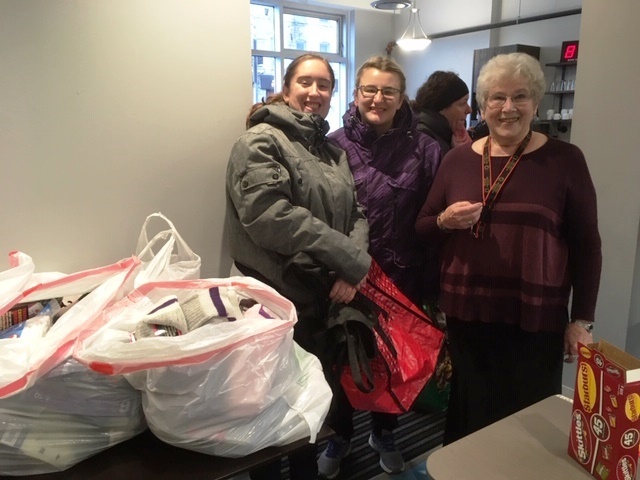 Along with their teachers, students took the bus to the Guelph Drop-in Centre, Chalmers Community Centre and Wyndham House to drop off the socks. Staff also brought a donation to Guelph-Wellington Women in Crisis. 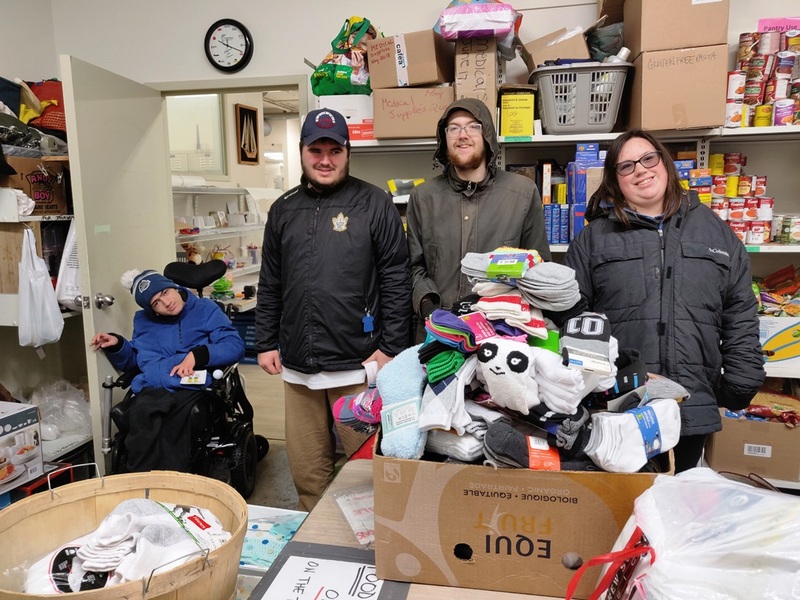 John F. Ross CVI was not the only group participating in a sock drive this fall, many other schools collected socks through various campaigns including William C. Winegard PS and the Guelph Board Office.